Date: 26.02.2018 | House, Electro, Club | Tags: Armada Trice, Miami, Galavant, Miss Ghyss, Maor Levi, Tripl, Qulinez | Download Armada Trice - Miami (2018) for free. 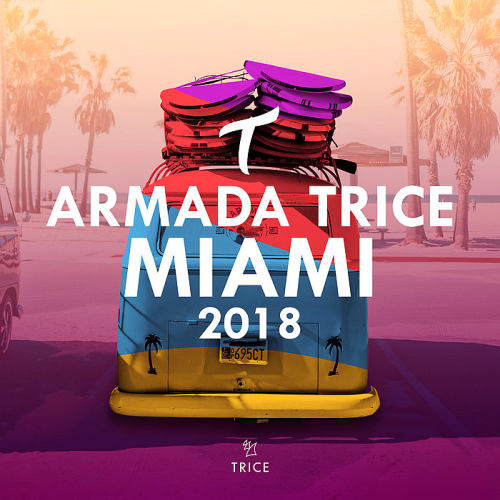 Giving Miami the opportunity to indulge in the Trice sound again, Armada Trice has come up with a selection of tracks perfect for the palm-infested shores and plethora of beach parties. With productions from the likes of Arston, Carl Nunes, Galavant, Jochen Miller and more, you know Miami will be the place for an unparalleled clubbing experiencing. A Trice star of the earliest hour, Arston is back with another sublime production. Featuring Sibbyls soaring vocals alongside a strong lyrics and drop-dead gorgeous melody. Spiked with crazily infectious basslines and enthralling melodies, this Maor Levi production works its magic in the late hours of the night and makes you give it your all until the sun rises. A display of power unlike any you’ve ever seen or heard, this colossal cut from Vigel is made for the mainstage.